I’m not sure what this building is for. I suppose it could house the controls for the small dam to the right. 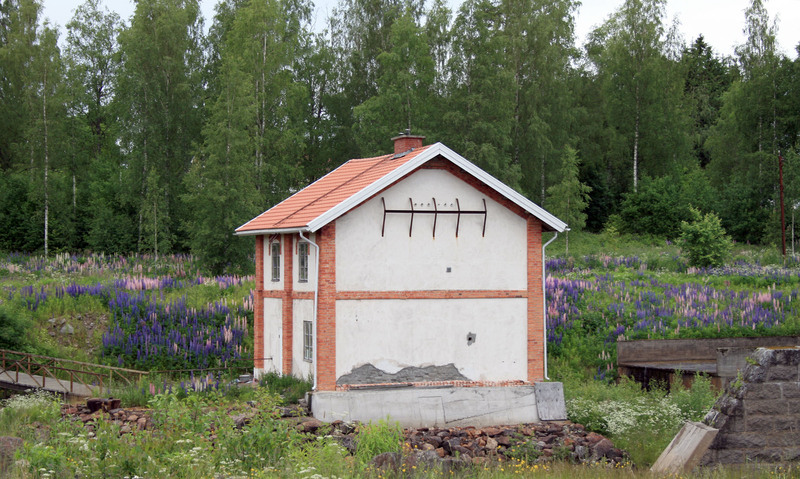 I liked the brick and plaster contrast of it’s exterior and the backdrop of lupins added to it.